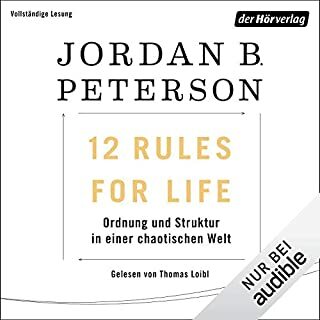 In this audio summary of 12 Rules for Life, Canadian clinical psychologist Jordan Peterson puts forth his ideas about a Creator, personality, existence, the interconnectedness of order and chaos, the gender roles assignment discourse, and a variety of other controversial topics. 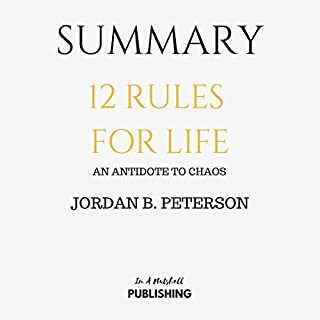 The most comprehensive summary of 12 Rules for Life: An Antidote to Chaos by Jordan B. Peterson, guaranteed. 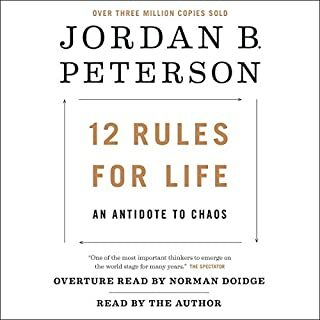 12 Rules for Life became a number one national and international best seller for a simple reason: Dr. Peterson unearths archetypal principles that shape our lives without our knowing. He first observes that order and chaos are the two primordial forces of the cosmos. Chaos is the realm of limitless possibilities, unsuitable for life. It is where depression, anxiety, and suffering find a home. Order, on the other hand, is the world of rules, predictability, explanations, science, and conformity. 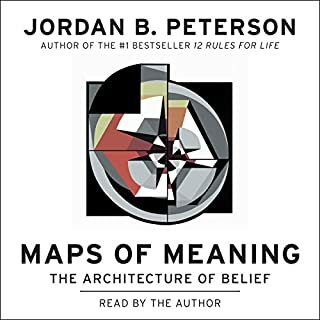 In the 12 Rules for Life, Dr. Peterson offers a roadmap to navigate these polar forces. 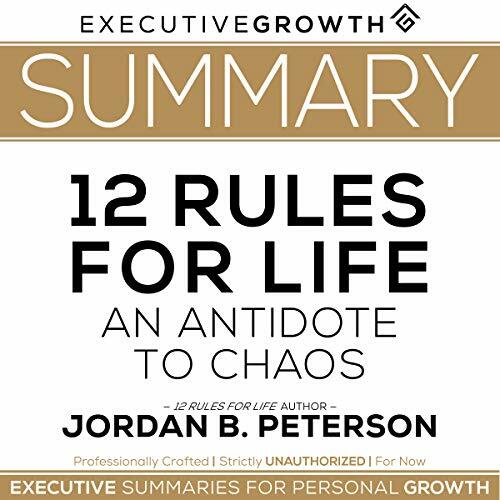 The antidote to chaos is not merely order - it comes down to understanding the subtleties of life, realizing that virtue lies in the balance of the two extremes, and developing your own skills at the game. Whether you are an overachiever burning through life, an underachiever with perpetual overwhelm, or an intellectual, seeking deeper truths of human nature, this book is for you. The 12 Rules cover a broad spectrum where you will find advice on how to manage your thoughts and emotions, how to thrive, how to get along with others, and how to find a sense of meaning in life. 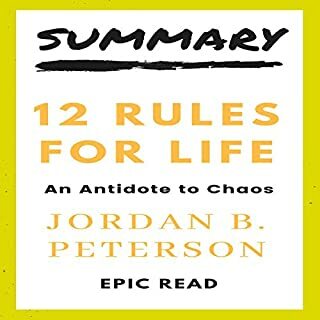 Disclaimer: This is a summary of Dr. Peterson's 12 Rules for Life: An Antidote to Chaos. Our intention is sincere in that listeners could use this summary as an introduction or a companion to the original book, not as a substitute. 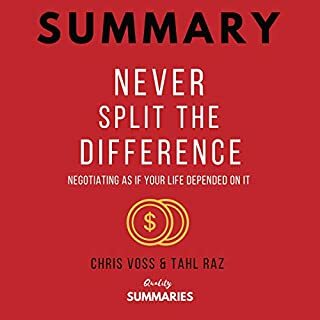 *The average summary narration on Audible, iTunes, and App Store is 15 minutes long. The audio narration sounds just like a 1980’s computer reading text. It is that bad - lifeless and w erratic pauses and emphasizes. Not everyone is cut out to record an audio book, THIS ONE definitely needs a major redo. Couldn't finish this because the narrator was clunky and difficult to listen to. I had to stop and find a better version. I have the book but realistically will probably never get around to reading it. I started this summary today and it will be a great way to glean the salient points. I do not however enjoy the narrator's voice. I loved the audiobook! I felt I got the feel for the whole book and a very thorough review of each chapter. While there were some software issues when i was trying to read on my kindle and audiobook simultaneously, I still highly recommend the audiobook as is and I'm already incorporating a couple of the rules.